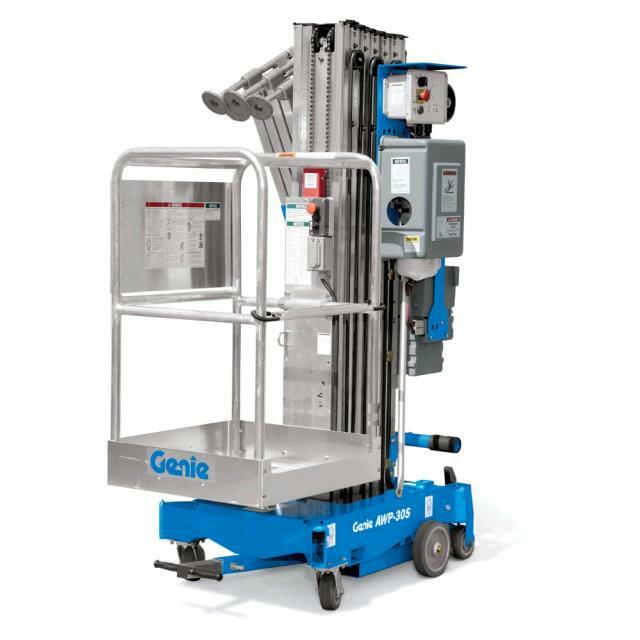 Genie AWP Super Series aerial personnel lift. 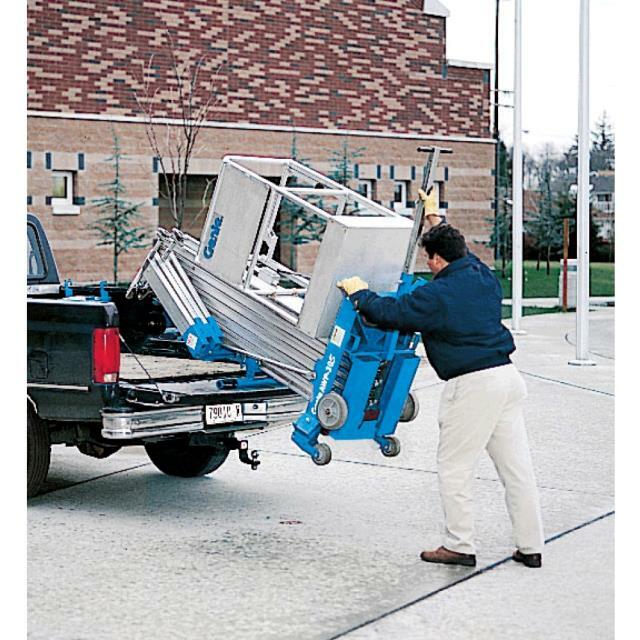 One man can easily push this lift around on a indoor, hard, level surface. DO NOT USE OUTSIDE on dirt, gravel, or other unstable surface. Battery powered w/automatic charge system. 1 person basket, 350 lb capacity. Platform raises to 29'6" allowing 35'6" working height. Can be easily loaded into the back of a pickup for easy transportation. Lift dimensions: 2'6" W x 6'7" T, can easily br rolled through a standard doorway. Can only be used on hard, level, finished or unfinished surfaces. The "X-Pattern" outrigger footprint allows 7" front access and 1'5" side access. 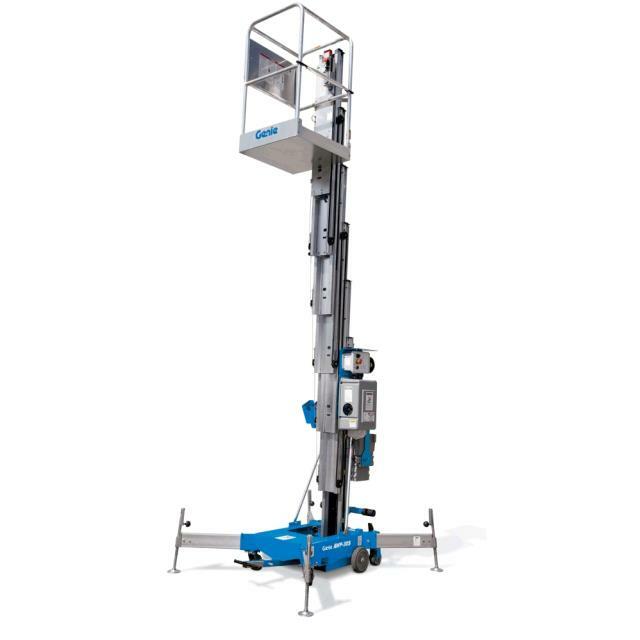 Outrigger footprint: 6' L x 5' W.
* Please call us with any questions about our personnel lift 30 foot genie awp rentals in Oak Grove MO, Blue Springs MO, Independence MO, Lexington MO, Odessa MO, Independence MO and Western Missouri.